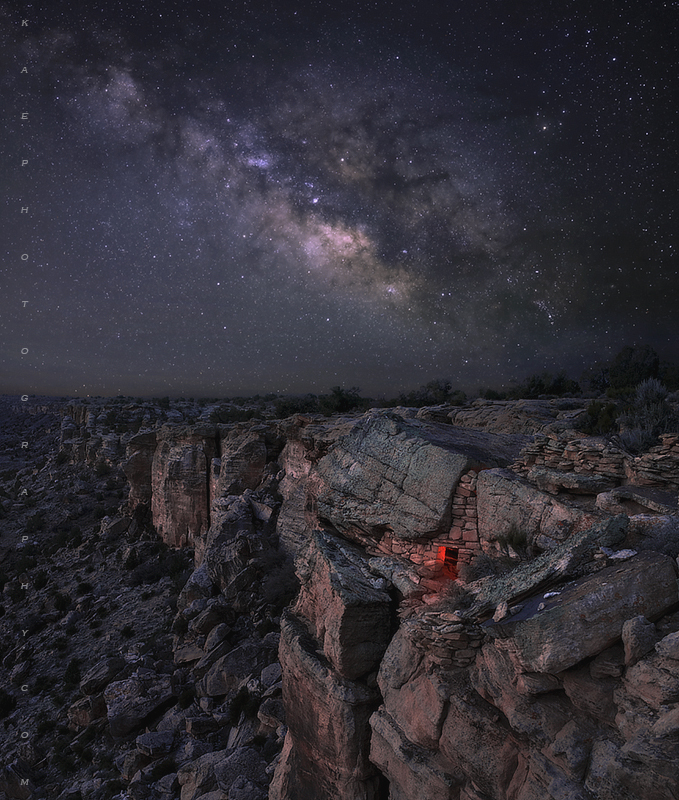 An obscure, little known Puebloan (Anasazi) grainery tucked into a cliffband 300-ft above the valley floor. . Photo © copyright by Kane Engelbert.